We must decide for ourselves what and who to believe in this world of instant communication and information saturation. Look at this country as you drive freely from one end to the other and tell me where the chaos is. The only chaos is in the newspapers of propaganda that have overtaken the American news media. Jobs. That's what grows the economy. Work. That's what makes you content. We should be supporting plans to expand our economy not curtail it. 70 years ago yes there was a huge problem with pollution and excessive waste. A very strong and committed environmental movement helped clean it up. The United States government made laws to make sure it was crime to pollute to those levels ever again. Did we save the spotted owl? Do you know? Many many people lost their job, their homes and whole communities abandoned in order to save them. After all the expense time and court proceedings most of us don't have any idea the status of these birds. 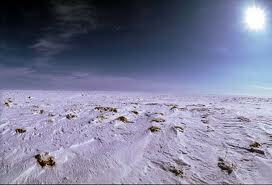 The ice age began 100,000 years ago, or somewhere around then. I remember my teacher telling us New York City used to be covered with ice. The Great Lakes were formed by the receding ice. During the following 99,000 years the earth produced massive volcanoes forming tremendous tropical storms and giant hurricanes burning forests and fields alike. Now today because we witness the melting of the arctic ice shelf I'm expected to believe that the exhaust from our factories and automobiles caused that to happen. Come on man! There is no reason for the us to stop exploration in the Arctic. lawyers with an extreme position dominate the environmental debat. They will and they do hamper growth in Alaska. Their 'world of awareness' places this country in peril. If these people are so concerned about the 'world' why aren't they in China or Russia or Southeast Asia where the same type of industrial contamination we confronted 50 years ago is going at 200% rate over there, right now. 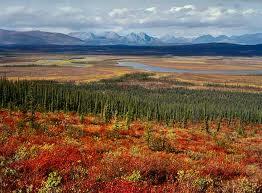 Real pictures of Northern Alaska. If you see a movie or TV show with people standing around in ANWAR and they aren't either completely covered with bugs (white socks, mosquitoes, gnats black flies) or if they're not completely insulated with arctic gear they’re not in the Arctic National Wildlife Refuge. 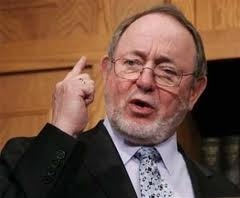 click Don Young’s constituents’ know this is possible. Oil could be pumped through the Trans-Alaska Pipeline with-in a much shorter period of time then pundits will tell you. We must stop listening to overly paranoid environmentalists. Where is the environmental destruction all of Alaska's 580,000 square miles of territory? The United States government owns 1/3 of it. Our own regulators prevent oil and gas development in Alaska. Senator Read. How many more years do we keep the middle east wealthy? Why not get the oil right here? Spend the profit. to develop alternative energies, It's what Uncle Ted said. Why not? Remember when Ted Stevens was a Senator? The State of Alaska was booming. Now the United States Government is strangling the progress. Some would say Alaska gets way more federal dollars then it should. But don't forget the federal government owns more than 60% of Alaska. They bring in the regulations, they make you and me pay for it.